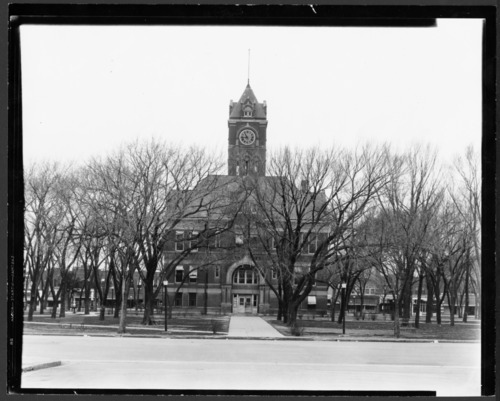 Several images of the Allen County courthouse located in Iola, Kansas. Allen County was established on August 25, 1855 and was organized on May 07, 1856. At first, the county seat was located at Cofachique from 1855 to 1857. Due to the decline in population of Cofachique, the county seat was moved to Humboldt in 1858. In 1865, Iola was finally chosen as the permanent county seat.